A paparazzo acquired the photograph shown on the right side: A motorcycle is tested under high dynamic environment using an iMAR iTraceRT-F400 GNSS aided inertial measurement system (class: 2 cm accuracy). The iTraceRT is a market leading system for testing vehicle dynamics as well as Advanced Driver Assistance Systems (ADAS) in real world environment. Contact iMAR sales for detailed information. iMAR liefert die Algorithmik für die Neigungsanzeige des Audi A6 allroad. Die hierfür speziell von iMAR entwickelten Algorithmen erlauben trotz der Verwendung vergleichsweise einfacher fahrzeuginterner Inertialsensorik eine hohe Winkelgenauigkeit und Zuverlässigkeit der Anzeige auch im dynamischen Fahrbetrieb. Das Copyright (c) der Dateninhalte auf den angegebenen Links ist zu beachten. iMAR has launched a version of its well-known iIMU-FCAI, which comes up with an extended EMI/EMC protection and slightly rearranged connector position. iIMU-FCAI is a small size IMU con­sisting of 3 low-noise fiber optical gyros (FOG) in closed-loop technology of class 1 deg/hr and 3 servo-ac­celer­ometers of class 2 mg.
Datasheet iNAV-FCAI same as iIMU-FCAI, but with integrated GPS, odometer interface. 0.15 deg/sqrt(hr) / 300 µg/sqrt(Hz); short time bias stability at const. temperature (AV) 0.5 °/hr, 0.1 mg.
power supply qualified to DO160E; FPGA Firmware and hardware ac­cording to DO254, DAL A. The iIMU-MM-04 can be deliv­ered with each 3 gyro and 3 aceler­ometer axes or in the AHRS version (iVRU-MM-04). The IMU is designed for rugge­dized ap­plications on land vehicles, naval ves­sels, helicopters and fixed wing aircrafts. The iIMU-MM-04 / iVRU-MM-04 can be operated at an unregulated wide range power supply (10-34 V DC avccording to DO160E) and is protected against wrong polarity, HIRF, lightning and over-volt­age up to 80 V. The data output is free running and the data are sent via RS485. Two redundant outputs and power in­puts are available. 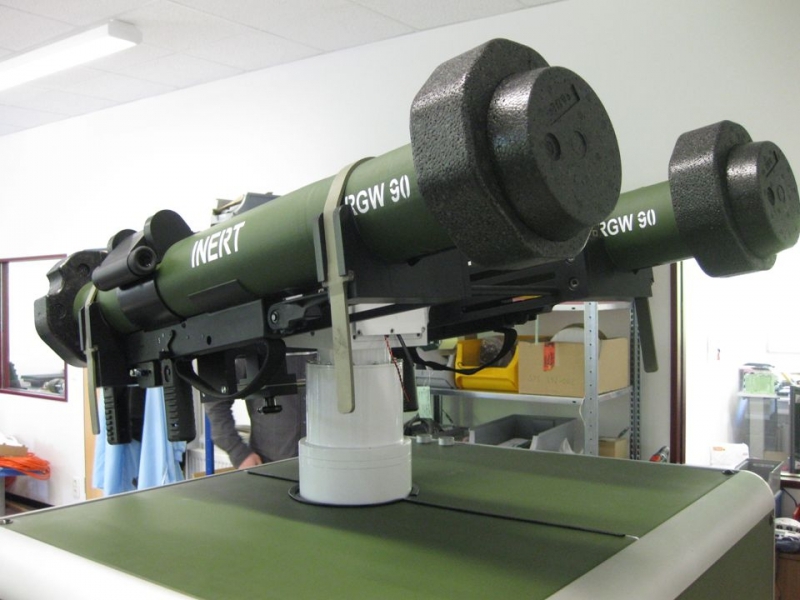 The iIMU-MM-04 as well as the iVRU-MM-04 are not subject of export restrictions (also not ITAR affected). The iIMU-CFM-01 / iVRU-CFM-01 is interface compatible and based on FOG technology. All iVRU systems can be expanded with an external dual antenna L1l2 GNSS Receiver (for heading aiding under static as well as dynamic conditions). iMAR has been contracted by CASSIDIAN to develop and provide a stabilization platform for stabilizing cameras and energy lasers on marine vessels. The combination of iMAR's inertial geo-referencing technology together with iMAR's experience in image processing and data fusion leads to a robust, compact, cost efficient solution. The system is based on a scaled iIPSC-MSG architecture. 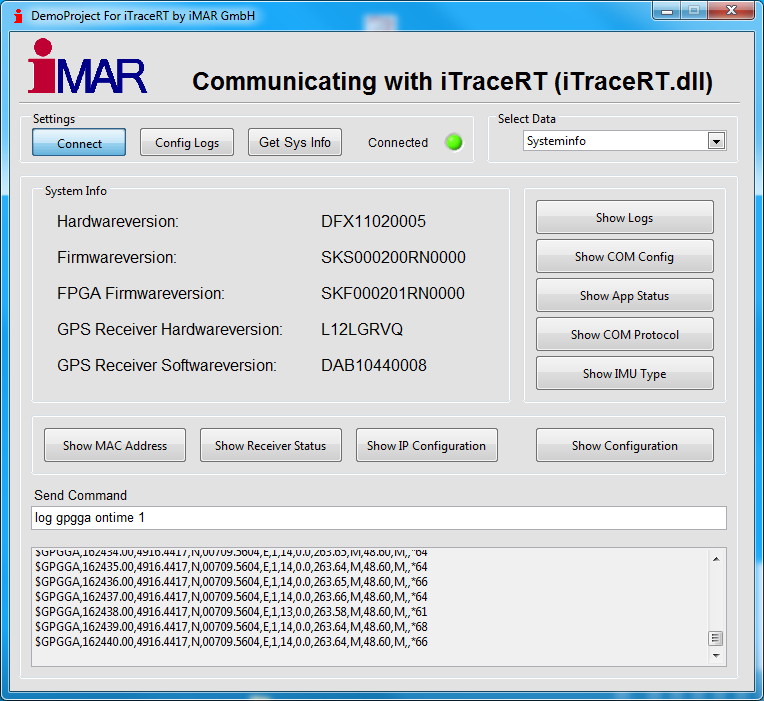 iMAR launched a software development kit (SDK) for the iTraceRT-F200 and iTraceRT-F400 systems. The SDK supports the advanced users by writing their own user interface for iTraceRT. For this a DLL is provided, which supports all necessary functionallity to read data from the INS/GNSS system iTraceRT and to command the system. The DLL is compatible to the NovAtel SPAN protocol including iMAR specific add-ons. Also a support for LabView is provided. For our Navigator Family iNAV as well as for our family of Vertical Reference Systems (iVRU) similar DLLs can be provided for system integrators. iMAR has joined the AutoDrop Development Consortium. The objective of the project is to develop a novel autonomous underwater vehicle that will significantly reduce the cost associated with deployment of sensors and data loggers to the seabed. The vehicle is equipped with sensors or loggers and is dropped into the ocean (e.g. seismic loggers). It descends rapidly under the influence of gravity, while autonomously navigating towards a pre-programmed destination on the seabed. After completion of data acquisition, the vehicle returns to a predefined location on the surface for easy retrieval. This vehicle for transportation of assorted equipment is the AutoDrop. The program is partially funded by EU's FP7. iMAR contributes in the part of navigation, path control and stabilization of the AutoDrop by hardware and software. iMAR has launched the first dynamic antenna stabilization and positioning system of type iIPSC-ANTRAD-101 to a German customer. It is designed to support standard antenna payloads as well as customized antennas to be stabilized on naval and surface vessels. The system contains a single axis gyro or a full IMS for stabilization and control. It supports standard operations like conical scan or RF signal tracking feedback as well as customized features on request. The iIPSC-ANTRAD-20x series is family of customized two axes stabilized antenna platforms. iMAR hat seine Luftfahrtgerätefertigung im August 2011 durch das Luftfahrtbundesamt (LBA) gemäß den Anforderungen EASA Part21G (Luftfahrtgerätefertigung gemäß Capability List) auditieren lassen. Aufgrund der erfolgreichen Auditierung ist iMAR nun entsprechend zertifiziert, Komponenten und Systeme mit EASA Form 1 zu liefern, die Genehmigungsnummer lautet DE.21G.0254. Die Auditierung / Zertifizierung gemäß EASA Part145 (Instandhaltung) ist für 2015 geplant. 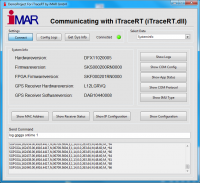 iMAR has launched its deeply coupled INS/GNSS system iTraceRT-F200/400 now also as fully MIL qualified system: iTraceRT-F400Q. It is used in land, sea and airborne applications on manned and unmanned UAV/RPV missions. An advanced design of iMAR's wellknown fiber optic gyro based general purpose navigator iNAV-FMS is now available. It is fully form-fit-function compatible to iMAR's iNAV-RQH systems (ring laser gyro based with extended bias stability) and iMAR's iNAV-FJI-001 with high performance fiber optical gyros, but is not covered by any export restrictions. The internal fiber optic gyro is of class 0.75 deg/hr and true heading is determined by a dual antenna GPS for GNSS engine. So iNAV-FMS-E-DA provides heading at standstill as well as under motion, without the need of using north seeking class of gyros, which would be covered by export restrictions. Fully qualified to MIL-STD 810F, MIL-STD 461E, MIL-STD 704D; DO160E for 50 ms hold-over at power drops; usable for aircraft, train, ship, truck navigation etc. An advanced design of iMAR's wellknown fiber optic gyro based general purpose INS/GNSS navigator iNAV-FJI-001-J is now available. It is fully form-fit-function compatible to iMAR's iNAV-RQH systems (ring laser gyro based with extended bias stability) and iMAR's iNAV-FMS-E-DA with dual antenna GPS for GNSS based heading determination (does not require any export license). A new EKF based algorithm is available for iMAR's iVRU product line, which provides a milestone in performance of unaided Vertical Reference Systems. The algorithm is available for new systems of iVRU series as well as for upgrade. Standard vertical reference systems require magnetic information or GPS data (velocity) to determine the attitude of a moving vessel acording to the static plumb line. Where such aiding is not available, such systems align to the "dynmic plumb line" direction, which results from the superposition of the "static plumb line direction" and the motion induced acceleration (according to Newton's laws it cannot be distinguished between heavy mass induced acceleration ["gravity"] and dynamic acceleration). The new EKF based iVRU algorithm uses some very general knowledge of airplane and ship motion to provide real attitide against "static plumb line" even if the vessel is under strong dynamic motion. Furthermore under dynamic motion it provides an estimation of vessel's velocity. The algorithm is suitable for mid perfrmance FOG based systems as well as for MEMS gyro based systems. iVRU for target drones, missile warning systems, ship stabilization etc. The iIMU-CFM-01 is an IMU con­sisting of 3 FOG gyros of class 5 deg/hr bias stability and 3 accelerome­ter axes of class 2 mg, designed according to DO254 and DO160E. 0.3 deg/sqrt(hr) / 50 µg/sqrt(Hz); bias stability (AV) 0.2 °/hr, 0.1 mg @ const. temp. power supply according to DO160E; FPGA firmware and hardware ac­cording to DO254, DAL A. The iIMU-CFM-01 is designed for rugge­dized ap­plications on land vehicles, naval ves­sels, helicopters, fixed wing aircrafts and UAVs. The iIMU-CFM-01 can be operated at an unregulated wide range power supply (10-34 V DC)and is protected against wrong polarity, HIRF, SEU, lightning, and over-volt­age up to 80 V. The data output is free running and the data are sent via RS485. Two redundant outputs and power supply in­puts are available. The iIMU-CFM-01 requires no ex­port li­cense. The iIMU-MM-04 uses MEMS gyro technology and servo accelerometers. It is interface compatible to iIMU-CFM-01. 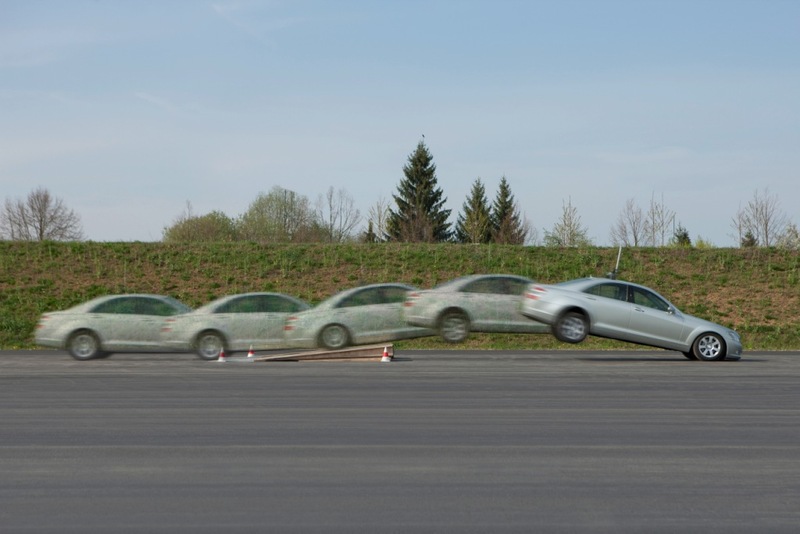 In May 2010 the engineers of Mercedes-Benz, a trademark of Daimler AG, demonstrated the probably most advanced test method for car safety to the international press. The system, which is designed to use and test series-production vehicles, is being equipped with iMAR's INS/GNSS system iTraceRT-F200, iMAR's GPS/GLONASS reference station and iMAR's high speed interface iSRIF for controlling a driving robot. The position performance of the system is +/- 2 cm. 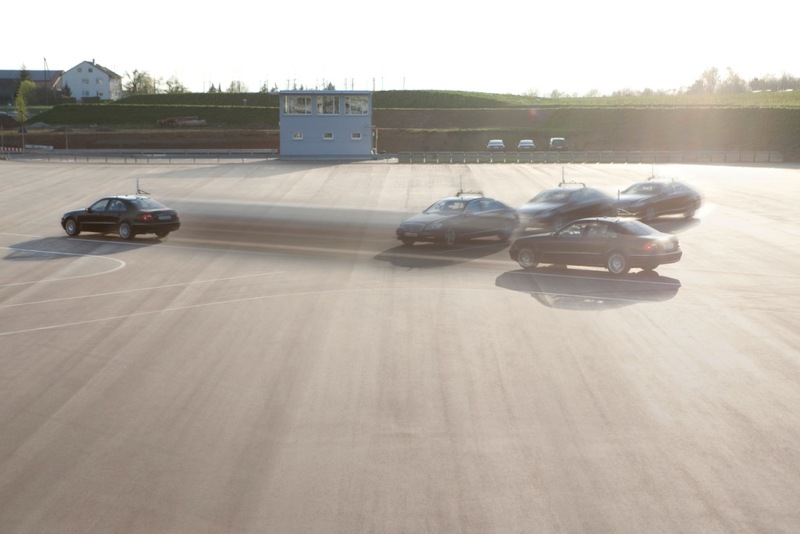 The high reliability of the system is demonstrated in the daily use for vehicle testing at Mercedes-Benz in Germany, a leader in automotive safety and technology innovation. Die erfolgreiche Einführung unserer Produkte in weitere nationale und internationale Märkte und Programme sowie die Geschäftsentwicklung in den Bereichen Industrielle Navigations- und Vermessungssysteme und Verteidigungssysteme sowie auch im neuen Geschäftsbereich Luftfahrtsysteme ermöglichen eine weitere Vergrößerung unserer Fertigungs- und Engineering-Kapazitäten. iMAR hat Anfang November daher weitere 3'000 m² erschlossener Baufläche in unmittelbarer Nachbarschaft zu seinem Hauptsitz in St. Ingbert erworben und wird nach Abschluß der Detail-Planungen Mitte 2011 in 2011/2012 ein weiteres Produktionsgebäude errichten, das so wie das 2003 errichtete Hauptgebäude mit speziellen Ausstattungen (u.a. tiefgegründete Fundamente für die zusätzlichen Bewegungssimulatoren) ausgestattet wird. With its tracking system iIPSC-TR iMAR just delivered a complete installation to track aircrafts and unmanned air vehicles (UAV, missiles, ...) on tracking ranges in on-shore and off-shore applications with the same equipment. The system will be operated on the Mediterranean Sea as well as in the Negev desert at Rafael's Weapon Test and Evaluation Center (WTEC) in Israel. It is the only known mobile tracker system which is capable to be operated on both on-shore (on land) and off-shore (on naval vessels). The system is designed according to and fully covered by the German laws of export. A powerfull tracker architecture with integrated INS/GPS system (iNAV-RQH) for geo-referencing and very accurate attitude / heading and position reference, integrated fast target video tracker (iOET²), full autonomous operationability in case of hidden targets and a communication between all stations for guaranteeing best online and offline tracking results is the core of the system. The integrated signal processing and user interface as well as the open system architecture make the system the best and most flexible solution for expanding existing tracker ranges as wll as building new tracker ranges. iMAR unterstützt Ausstellung zu "200 Jahre kardanischer Kreisel"
iMAR unterstützt die Ausstellung "Die Maschine von Bohnenberger", die heute als die weltweit erste Realisierung eines kardanischen Kreiselgerätes angesehen wird. Diese wurde in Tübingen von Prof. Bohnenberger realisiert. In angehängter pdf-Datei findet man ausführliche Details über Gerät und Ausstellung. iMAR unterstützt die Forschungs- und Präsentationsarbeiten zur Gestalltung dieser Ausstellung in Stuttgart und Tübingen mit einer großzügigen Spende. To be delivered in Q1 and Q2/2011, iMAR has won a contract from South Korea Ministry of Defense / ADD in September 2010 to deliver eleven (11) INS/GPS navigation platforms of type iNAV-FJI-001 and iNAV-FMS-DA (dual antenna version) with customer / application specific adapted MIL-STD-1553B interface and fully qualified according to MIL-STD 810F and MIL-STD 461E. Furthermore iMAR helds an option to deliver further INS/GPS systems for an enhanced SAR application of the customer. 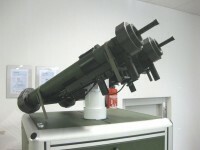 iMAR designed a weapon station demonstrator which is capable to carry 2 bazookas ("Panzerfaust"). It contains all relevant sensors and azimuth / elevation stabilized pan/tilt head for a video tracking autonomous remote controlled operation. It is able to be used for ground vehicle tracking and aircraft tracking. Installed on a ship it can asist to protect against piracy or other un-symmetric threats. It will be shown at EUROSATORY in June 2010 in Paris at the boost of Dynamit Nobel Defence.